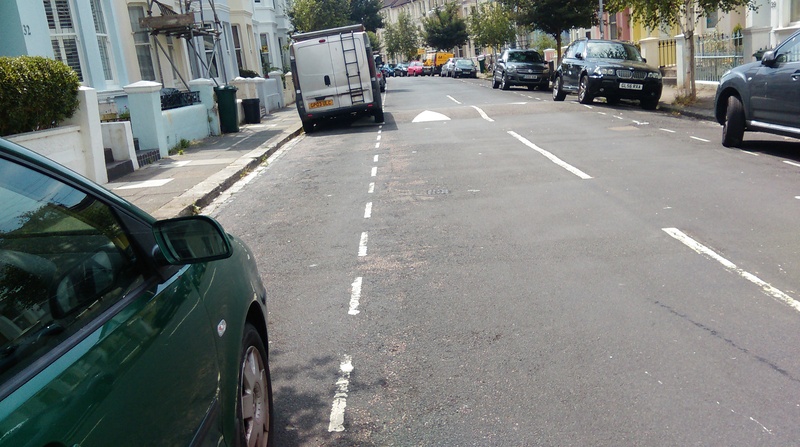 A Drara street empty of parked cars – its not normally like this! For car owners and visitors to the area, the whole of our neighbourhood is a 20 mph zone. A number of the streets also have speed humps. Parking is controlled and we are in area J. Residents are able to apply for parking permits and visitor permits. Between 8 pm and 8 am visiting vehicles can park in allocated areas (on one side of most streets) by either paying or if visiting residents, using a day permit. For anyone visiting to enjoy the many delights of London Road, there is also a car park in Providence Place. Information on parking is on the Brighton and Hove City Council website.